Miklós Spányi was born in Budapest where he studied the organ and harpsichord at the Liszt Academy of Music under Ferenc Gergely and János Sebestyén. He continued his studies at the Royal Flemish Conservatory under Jos van Immerseel and at the Hochschule für Musik in Munich under Hedwig Bilgram. 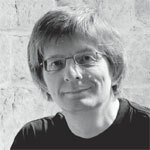 A prizewinner at international harpsichord competitions (Nantes, 1984, and Paris, 1987) Miklós Spányi has performed in most European countries and the USA as a soloist on five keyboard instruments (organ, harpsichord, fortepiano, clavichord and tangent piano) as well as playing continuo in various orchestras and baroque ensembles. He is also appreciated as improviser and composer. Miklós Spányi’s work as a performer and researcher has concentrated on the œuvre of Carl Philipp Emanuel Bach. In January 2014 – the tercentenary of the composer’s birth – Spányi released the twentieth, and final, volume in his great undertaking to record all Bach’s concertos for keyboard, described in Gramophone as ‘a unique monument to one of the 18th century’s most underrated composers’. He has also worked intensively to revive C.P.E. Bach’s favourite instrument, the clavichord, and has edited several volumes of C.P.E. Bach’s solo keyboard music for Könemann Music, Budapest. Between 1990 and 2012 Miklós Spányi taught at the Oulu Conservatory of Music and Dance and at the Sibelius Academy in Finland, while also giving masterclasses in many countries. He currently teaches at the Mannheim University of Music and Performing Arts in Germany, at the Liszt Academy of Music in Budapest and at the Amsterdam Conservatory. For further information, please visit Miklós Spányi's homepage.